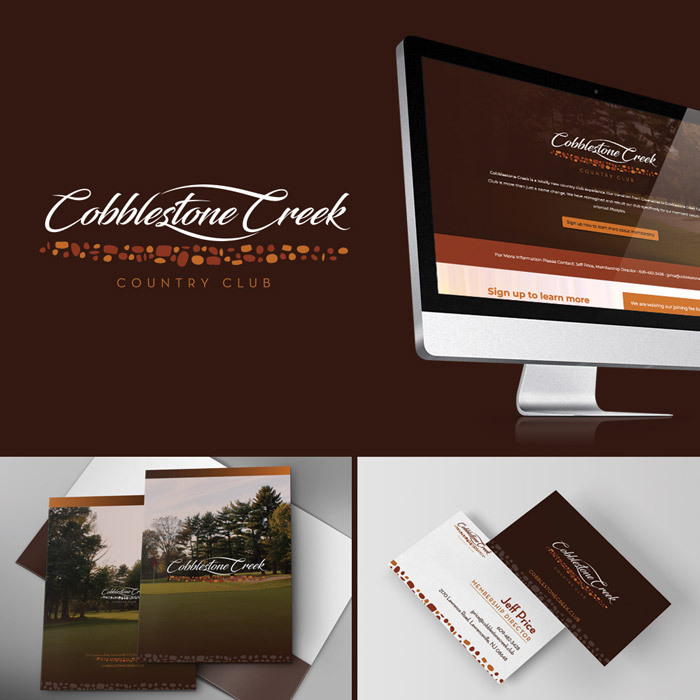 Greenacres Country Club in New Jersey came to us to rebrand their golf club. We developed a new logo design based off one of the signature features of their newly renovated course – a small creek with river stones that winds through the property. We chose a font that created movement, much like flowing water. The color palette we chose is reminiscent of the natural surroundings and views you can see on a fall day there. We think it’s a modern twist on a classic, and we’re very proud of the result. With their full rebrand, we designed business cards, letterhead designs, envelopes, eblast designs, pocket folders, brochures and even built a landing page to attract prospects to the club. We ran an extremely successful social media campaign that directed highly targeted visitors to a special offer on the page. Hundreds signed up and many became members of the club.